We are remarkable entity, engaged in offering superior quality Mother of Pearl Inlay In Corian . We make an attractive collection of decorative marble inlay wall panel and wall decoration, designer stone inlaid wall tile as different postures, decorative marble inlaid gate, marble inlaid pillars, temple gate, mosque walls, shopping mall inlaid flooring, wall decorative inlay art. Different type of inlay which will show up well at primary flooring. Stone, tile, metal, and other materials may be used in inlaid flooring as well. 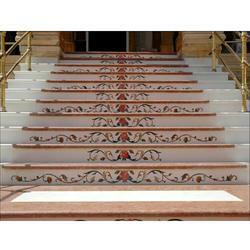 Uses: Inlay can be used floors, entrance, bathroom, kitchens etc. 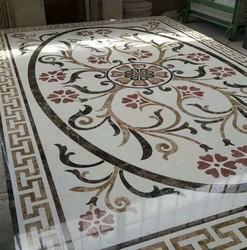 FIROZ MARBLE SUPPLIER , Provinding all types of Marble Inlay Flooring Services.